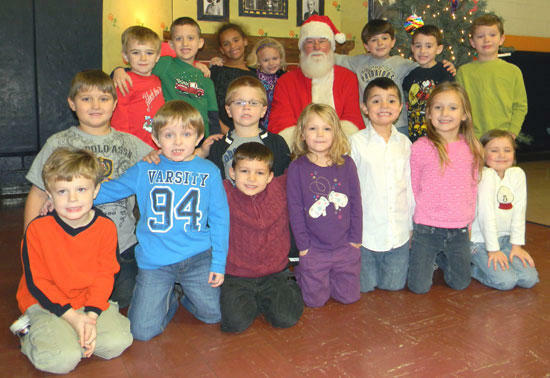 On Thursday, all K-4 students at East Side School received a special visitor. Santa himself showed up for a visit and stayed long enough to make pictures with each student. He also got lots of ideas about things he should bring the students for Christmas. The students were able to take home pictures of themselves with Santa as special presents for their moms and dads. Pictured is Mrs. Kathy Gannons Kindergarten and First Grade class.